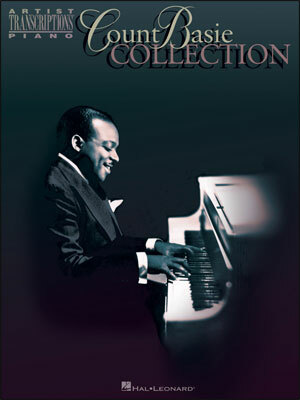 AS RECORDED BY THE COUNT BASIE BIG BAND. ARRANGED BY BILLY BYERS. 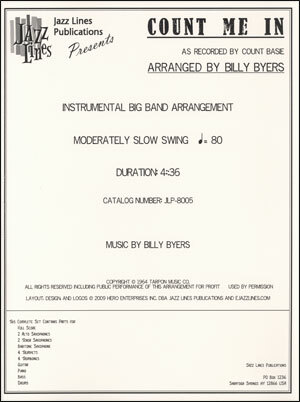 Here is a great Billy Byers chart that epitomizes the laid-back Basie sound. 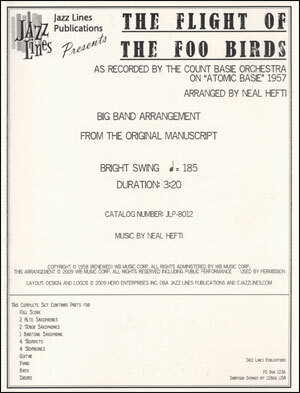 This arrangement features written-out piano fills throughout and a harmon-muted trumpet solo (on trumpet 2, also written out). This has been engraved from the original manuscript, though we did transcribe the piano fills and trumpet solo. Chord changes have been provided in the event that your players wish to improvise instead. The real trick to this chart is getting the feel, dynamics and articulations just right. The only range issue is that trumpet 1 gets to a F6 during the shout chorus. So, the chart is graded as difficult for that reason. Otherwise, it's probably a medium-level arrangement. The brass open on buckets and stay there for half of the arrangement. There are no saxophone doubles.